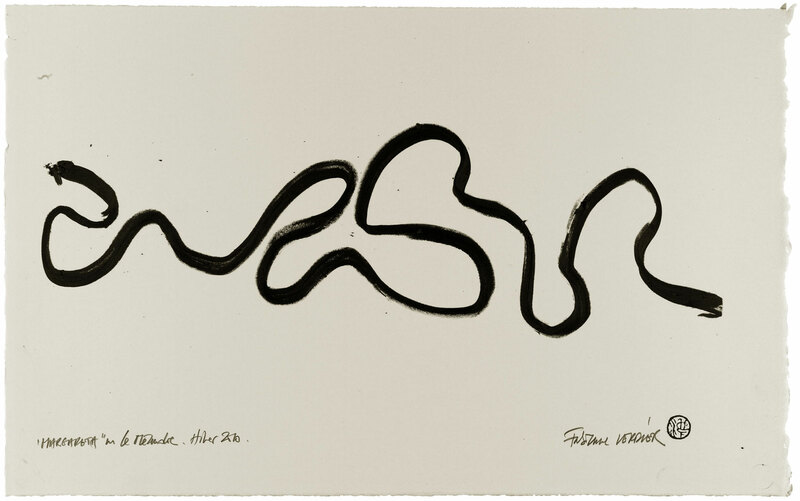 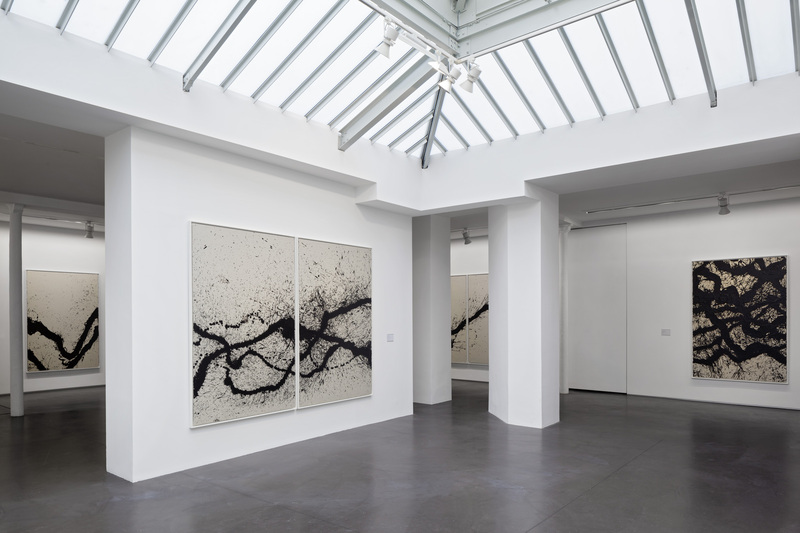 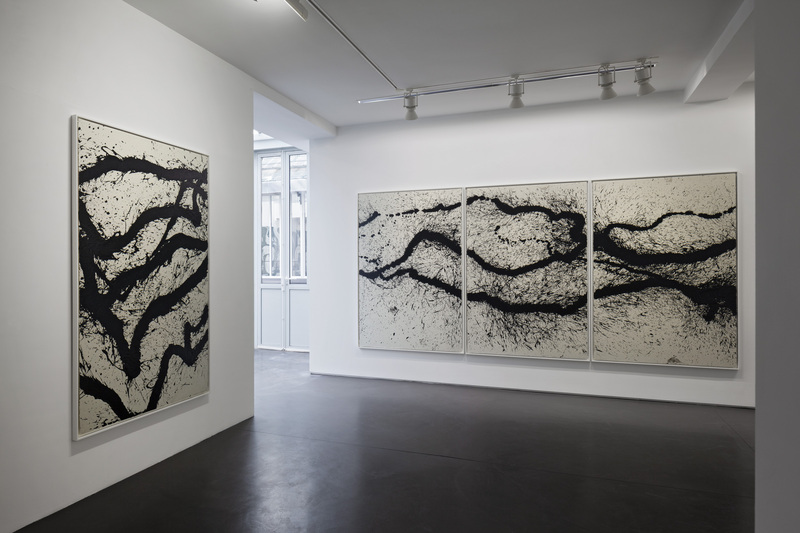 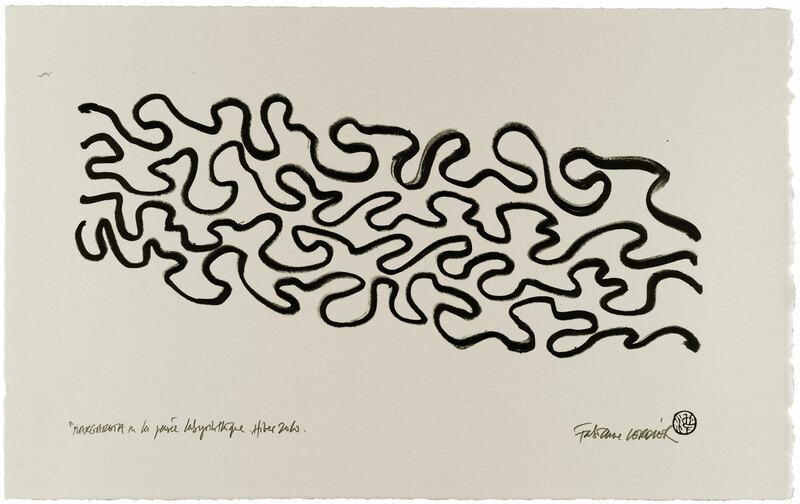 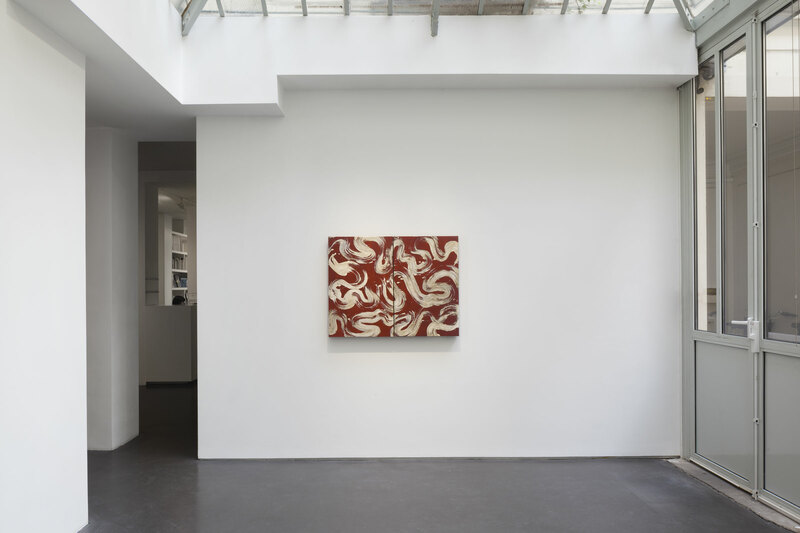 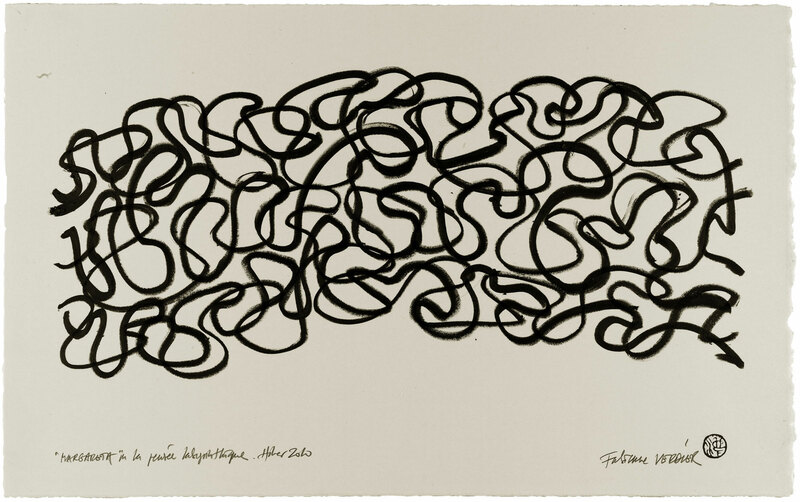 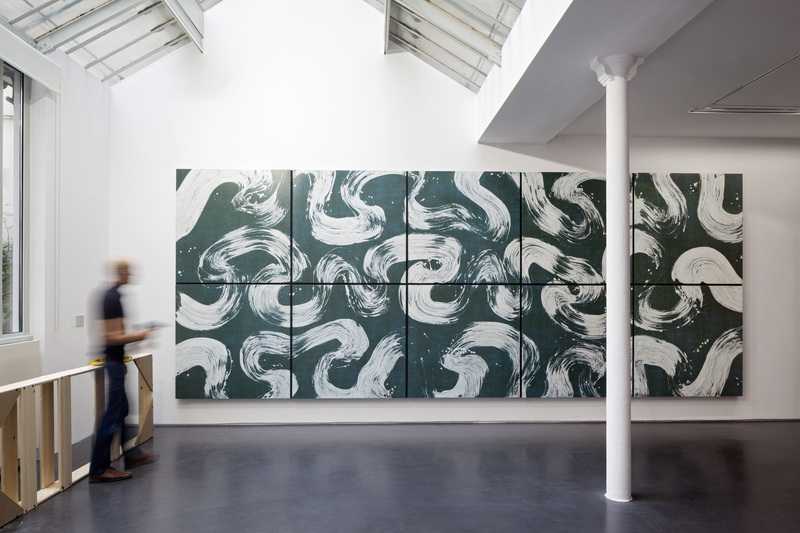 The Gallery is pleased to announce a new exhibition of Fabienne Verdier entitled Energy Fields which will take place in our Marais spaces Rive Droite and our space in St Germain, Rive Gauche. 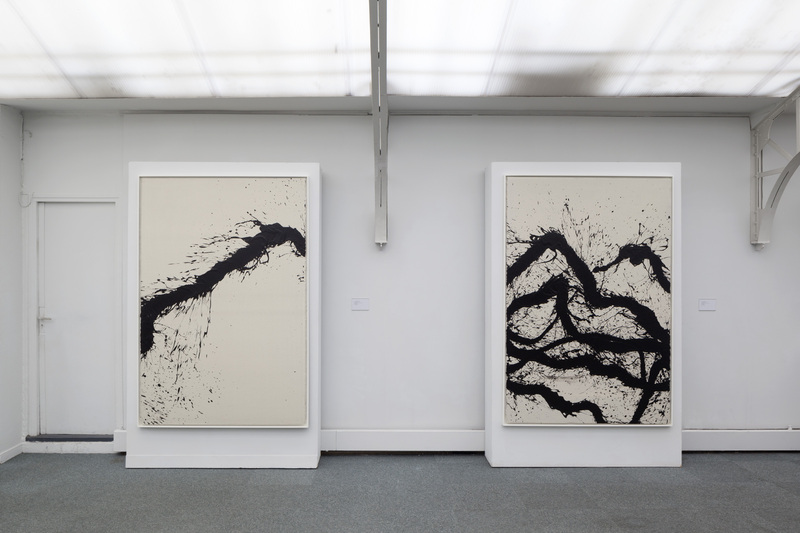 Both spaces will be devoted to a vast installation of innovative works by Fabienne Verdier: the Walking-Paintings – a kind of stroll of the artist through a landscape created by her body movement, a landscape in total unison with the universe’s fundamental electro-magnetic and gravitational forces. 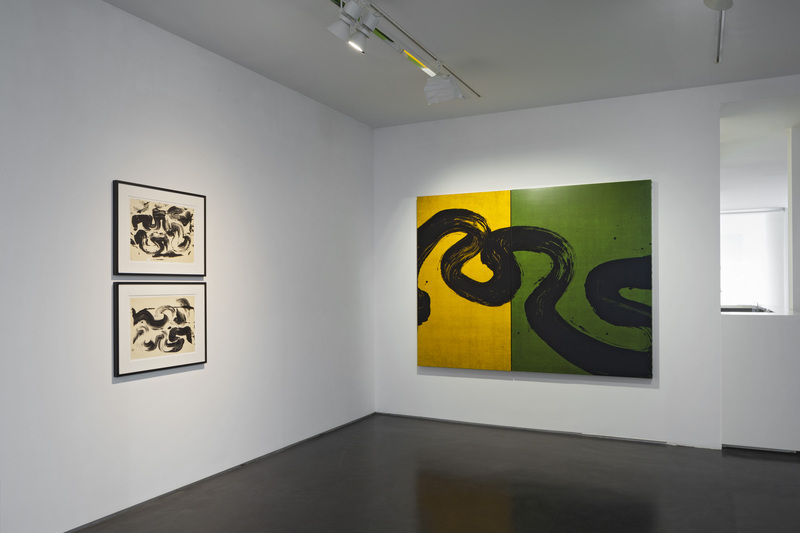 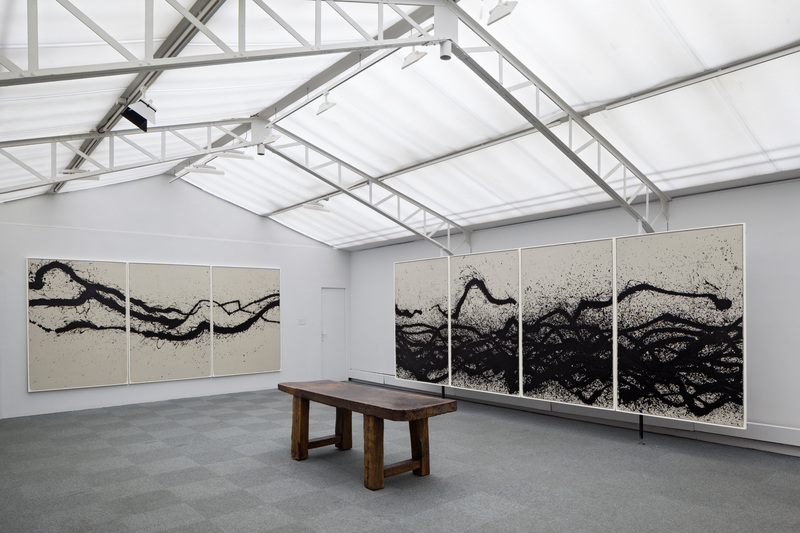 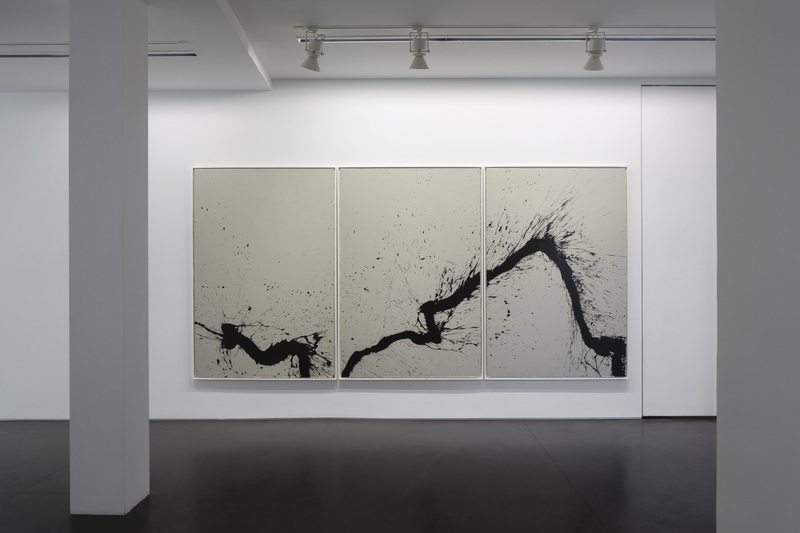 Fabienne Verdier re-discovered western painting after returning to France. 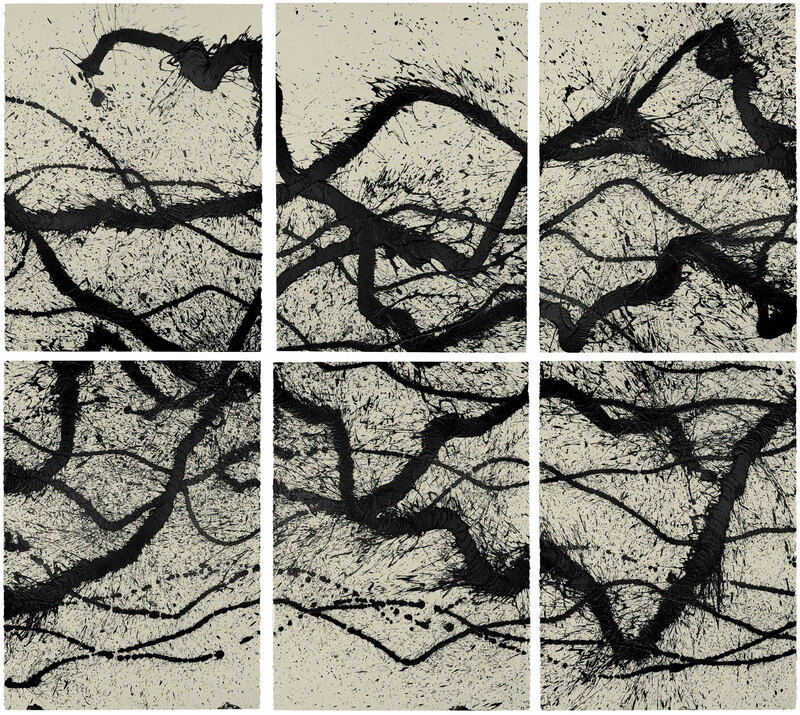 She was especially drawn to the graceful, abstract forms of the great 15th century Flemish Masters. 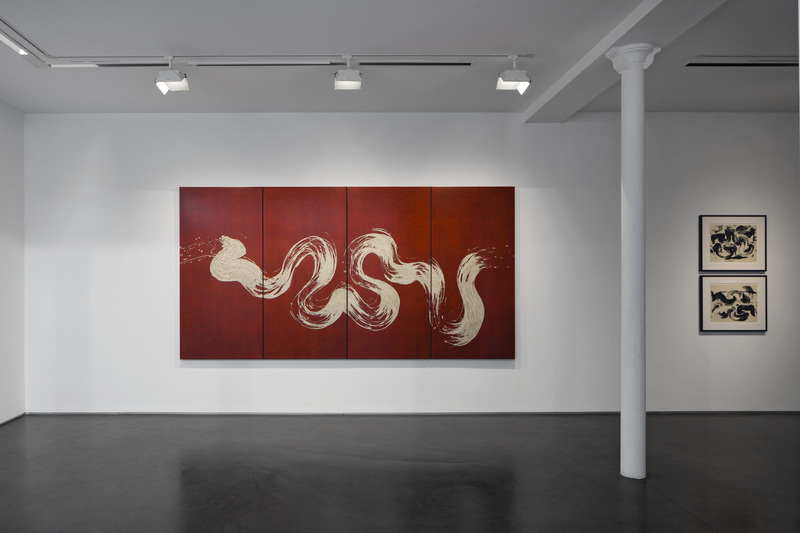 Close study of their works has shaped her own way of seeing, yet her paintings are original creations where she conveys the sacrality of the real in its most infinite movements and its incandescence.